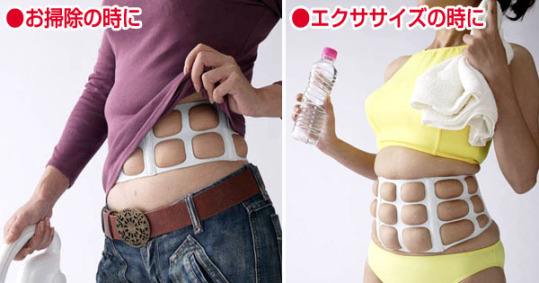 This horrifying belt separates your fatty stomach into segments because, in Japan, fat people are retarded and lazy and think this will help them lose weight. In effect, the structure of the rubber belt is a large mesh grid that splits the dieter's belly, side and back fat into easily manageable blobs. This allows for increased metabolic consumption of calories and raises the propensity for increased blood flow values. More blood flow = more heat = more burning of fat.